With the Pear Deck for Google Slides Add-on, you can add the magic of formative assessments and interactive questions to your presentations right from Google Slides. Want to give all of your teachers access to the Pear Deck Add-on at once? We’ve got you covered! You will see a list of all your current Marketplace Apps. In the top tool bar, near the right side, you will see a plus sign. Click the "+". Search for "Pear Deck" and choose "Pear Deck for Google Slides Add-on"
The Pear Deck for Google Slides Add-on will now show up in your list of Marketplace Apps. Notice in the image below, it indicates that the Add-on is "On for Everyone." That means everyone in my domain can access the Add-on from Google Slides. If you have "Organizations" set up in your Google Admin console, you can give the Add-on to a subset of your domain. Click the 3-dot menu and choose a specific organizations to give it to. Hover over "Pear Deck" then click "Open Pear Deck Add-on." Here's more information for teachers about how to get started with the Add-on. 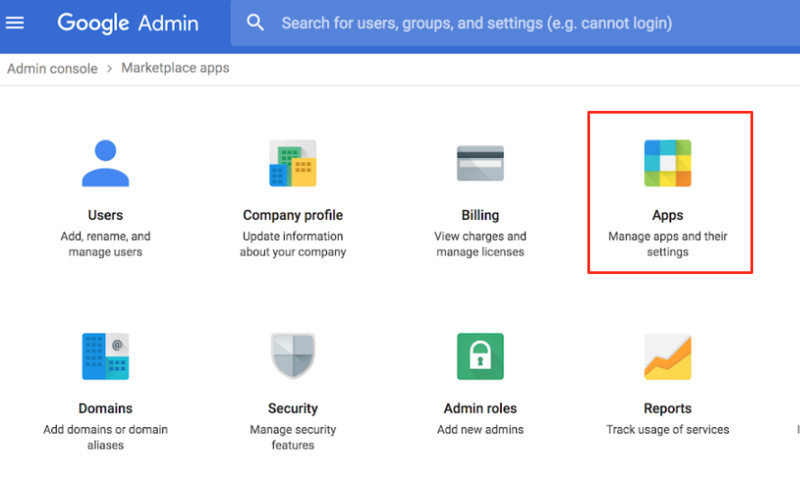 For additional help with installing the add-on, here's the G Suite Administrator help article about installing Marketplace Apps.